Ottawa is a lovely planned city that was designed to house the government of Canada and satisfy tourists. Okay, perhaps the latter is a by product of great city design, but never the less there is much to see and do in Ottawa. 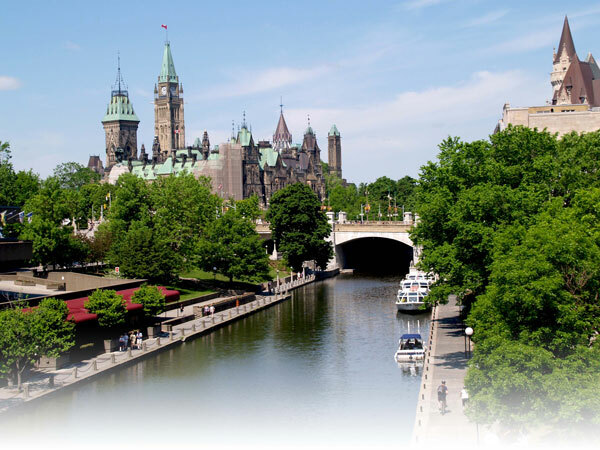 It’s nearly impossible to miss the iconic parliament buildings and the equally impressive Rideau Canal. Beyond those sites the city boasts many varied museums, galleries and restaurants. A trip to the national capital of Canada is assured to grace visitors with a deeper perspective of Canadians as well as the pleasure of a lovely city. Things to do in Ottawa include. Before becoming one of Ottawa’s central attractions the Rideau Canal enjoyed a storied history in the nation’s capital. Constructed between 1826 and 1832 the Canal was initially intended as precaution against any further American invasion. The War of 1812 between Canada – then a British colony – and the United States highlighted that the American’s had intended to cut off the St Lawrence River to stymie communications and commerce for the Canadians. The Rideau Canal developed a link between Montreal, Ottawa, and Kingston that spans several hundred miles and would have allowed commerce if the American were able to do this. In contemporary times the Canal has become a UNESCO World Heritage Site and one of Ottawa’s most beloved features. Snaking through the center of Ottawa the Rideau Canal enjoys varied usages depending on the season. In the summer time it is filled with boats and becomes the center of several summer time parties that culminate with the Rideau Canal Festival. In the winter the canal becomes a mammoth skating rink that spans 4.8 miles. If it gets cold out the length of the ice is lined with hot cocoa and snack stands. Visiting the Rideau Canal is always free, but if you require skate rental that will cost around $15 dollars. Housed in a building considered a work of art in its own right the National Galley of Canada is a must for all art lovers out there. Easily recognizable by its proximity to Parliament Hill, as well as by the massive spider sculpture in its entrance, the National Gallery attracts legions of visitors each year. Inside you will find works by such renowned master as Da Vinci, Picasso and Michelangelo. This being Canada, there are also works by several Canadian master as well such as Antoine Plamondon and Benjamin West. Each year several varied exhibits are put on. The National gallery is open each day between 10 a.m. and 5 p.m every day in the summer and Tuesday through Sundays in the winter. Entrance to the permanent collection is $9 dollars, while visiting the special exhibit and permanent collection costs $15 dollars. Ever Been to Nice, France? 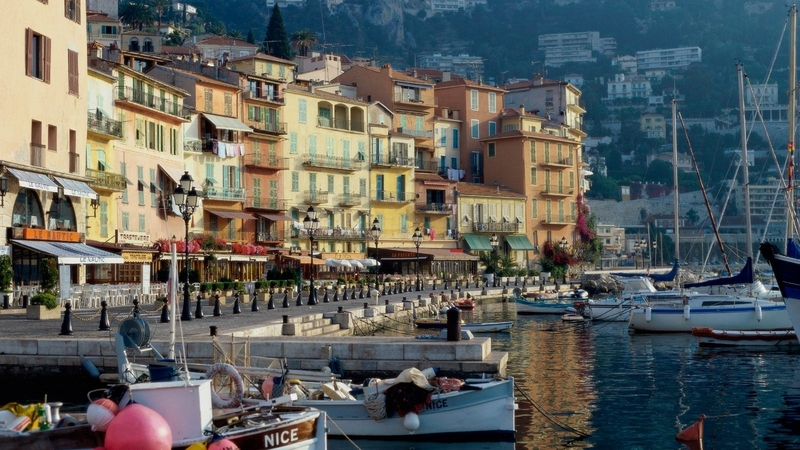 Set near to the azure waters of the Mediterranean Nice is the central and largest city, of the French Rivera. Filled with varied shopping, enjoying the beach, and visiting historical buildings all visitors to the city are assured of finding things to do. Like so much of France Nice also is a city that loves art and food. There are several fantastic galleries and museums to visit as well as great markets that sell all varieties of goods. More things to do in Nice include. Whether you a local or a first time visitor to the city a wander through Nice’s old town is enjoyed by all. Living up to its name sake, the old town is graced with a feel that harbors back to an age gone by. The streets are narrow and twisting and the buildings are built in classical ways. Though some of the old town is filled with the usual assortment of tourist traps there are also several different shops and restaurants that are frequented by locals. While in the old town also be sure to visit the Cours Saleya which is a wonderful flower market. Whether you are in the Old Town in the morning, afternoon or day time there is much to see and it definitely is the must visit location of the city. In a city that is known for fashion and style the places to visit are definitely the shops along the Avenue Jean Médecin. Following along this street will lead you to a wealth of international chain stores as well number of uniquely French boutiques. The area also boasts Galeries Lafayette which is a French department store as well as Centre Commercial Nice Etoile shopping mall. Wander the mall or find any number of different cafes to sit down and enjoy a latte. Once you have shopped all there is to find along Avenue Jean Medecin you’ll be happy to find out that the streets nearby are also lined with shops too. A free attraction to be enjoyed in Nice is the Palais Lascaris which is a baroque style castle that was built in the 17th century. The main area to visit is the noble floor – which is filled with various 18th century ornamentations and furnishings – as well as the pharmacy built in 1738. The latter showcases in some detail how health was monitored in earlier times. The palace is open Wednesday through to Monday and is closed on Tuesday. Though not a large attraction the Palais Lascaris to see it does provide an hour or two worth of diversion. If you’re in Tampa there is plenty to do within the city’s confines, like seeing the Florida Aquarium and Busch Gardens – but have you ever considered stepping away from the city and exploring a little more of Florida? There is much nearby to Tampa that you can take in that is less than a 100 miles away. Central Florida is geographically packed with different museums to visit, quaint American towns, and Orlando isn’t far from Tampa either. Different day trips from Tampa include. A fine example of a smaller, culturally filled American town is Bradenton. Nearby Shaw Point was actually discovered by the explorer, Hernado De Soto, who initially discovered Florida. Down town Bradenton is fascinating exploration of Florida living with shops, restaurants, museums and a great beach all in near succession to one another. The Bradenton Village of the Arts in worth the trip here in of itself as varied artists have collected here to form one of America’s most beloved art communes. Artists work inside of their homes, many of which are open for visitors to come in and look at the art works on display and view an artist at work. St Petersburg Florida – not St Petersburg Russia… or any other European city – has the world’s most comprehensive collection of works by the Spanish artistic genius Salvador Dali. One of the forerunners of surrealistic painting and an icon of 20th century art any visitor to this Salvador Dali Museum here in St Petersburg will leave effected. The Salvador Dali Museum is one of the highest visited tourist sites in Florida. Converse to what many might think Florida is not just a state known for its bounty of sunshine, but also for some intriguing art filled towns. 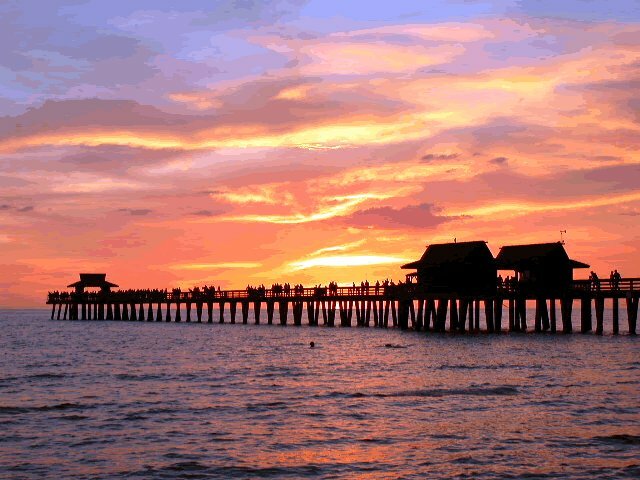 Naples Florida is one such town. With a cultural hub situated around Cambier Park – a park that puts on loads of free plays, weekly films, and varied art installations at the Liebig Art Center – art lovers will find artistically whatever their heart desires. Getting back to traditional Florida fair, be sure as well to enjoy the great beaches for a little fun in the sun while in Naples too. If you ever had an interest in experiencing the Florida everglades and the 10,000 tiny islands that make them up then a visit to Everglades City is fantastic starting point. With numerous tour companies, and boat rental outfits Everglades city will give you your best chance to see the exotic animals and plant life that can be found in the Florida Everglades. While you’re spending some time in the actual Everglades City be sure to take a wander down Main Street and check out the historic town hall and court house.